Just a quick word to wish everyone a Happy Easter. I whipped up these pretty cookies to take to work as an Easter treat for my colleagues. 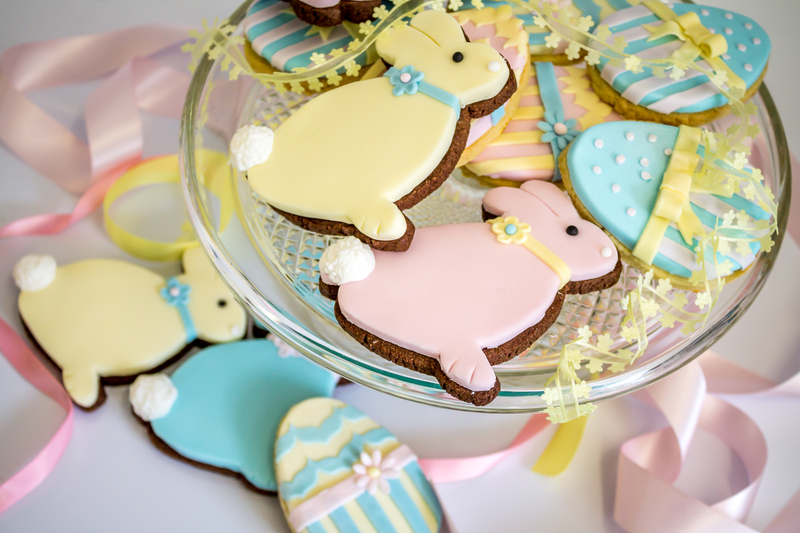 These cute bunny cookies are chocolate flavour and the egg cookies are a tangy orange flavour. Then I decorated them in sugarpaste – they make a great feast for any eyes. Cookies are great for Wedding favours or just a special hand-made gift for any occasion. Numerous shapes are available and the way they are decorated is limitless. If you’d like me to make cookies or decorate a cake in a bespoke style or something completely different for your special occasion then please feel free to contact me for a quote. Copper Top Cakes is based in Nottingham and delivers to the East Midlands area. Please feel free to leave me an email or a message and I will always get back to you as soon as possible.